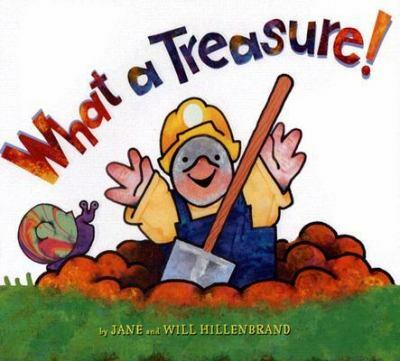 If you haven’t read this adorable counting book, go find it, and read it! It’s adorable. I’m planning to use this new book at Toddler Time this week. I’m going to try following the book with a repeat/extention. It’s an age-old story: Fly meets soup, fly gets, fly loses soup… One little fly thinks he is getting a big bowl of hot soup all to himself, but one after another unwelcome pals (1, 2, 3…10) try to swoop (or rather, slurp) in on his date. Finally the whole gang is chased away by a great big lizard who swallows down the soup in one big gulp. The bugs all skitter off before he gets a hankering for dessert (the 6-legged kind, if you know what I mean). 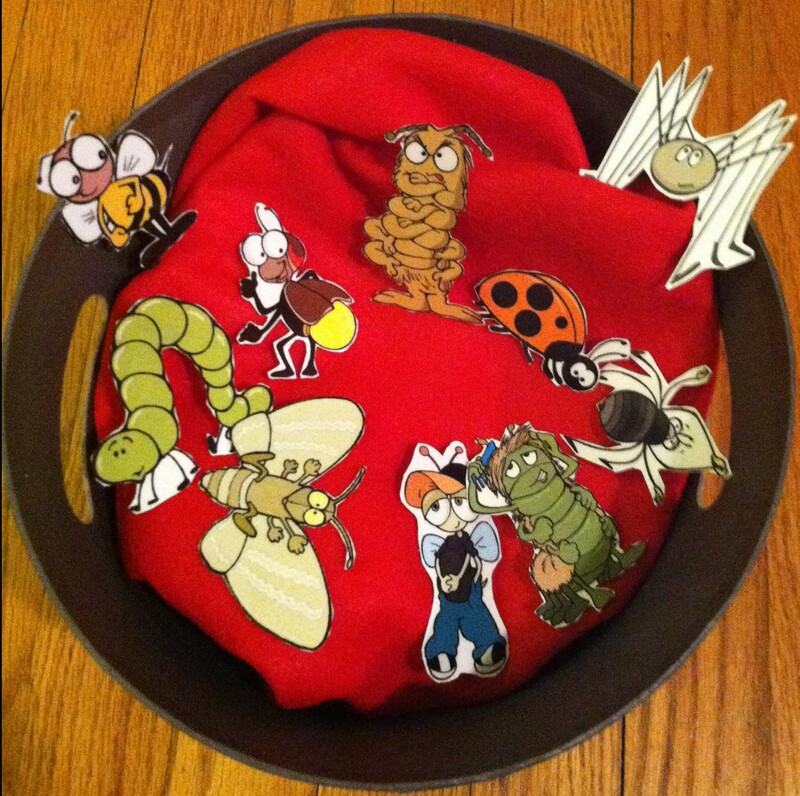 I found a bowl and stuffed it with a bunch of red felt, slapped together some clip art, and voila! 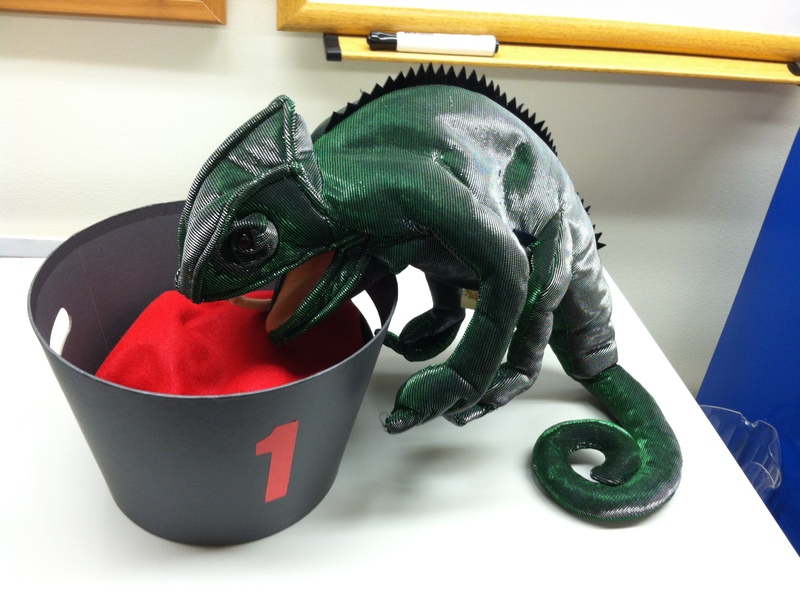 We also have this awesome chameleon puppet. So I’m going to try some sleight of hand to have him slurp up the soup. Annie is hosting this week at sotommorow. And don’t forget to get yourself on the #FF map! 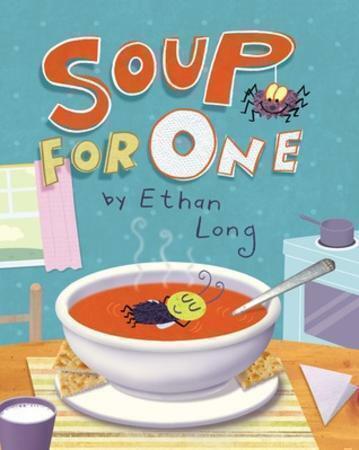 Categories: ALL, Flannel Friday, Libraries | Tags: Ethan Long, picture books, Soup For One | Permalink. Flannel Friday: Will Hillenbrand, What A Treasure! What’s more, he offers a slew of excellent story extensions including an beautiful flannelboard pattern (with his beautiful illustrations) FOR FREE! So don’t waste your time here, go straight to his site and download all this loot! Mollie is our magnificent host today! 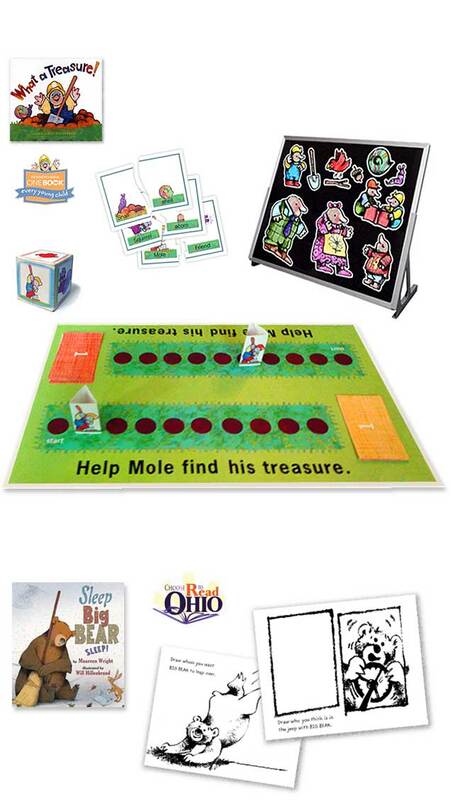 Categories: ALL, Early Literacy, Flannel Friday | Tags: book authors, picture books | Permalink. Anyway, I may be too late for the #FFRU… Sorry folks. But check out Andrea’s blog and the #FF pinterest archive for more storytime ideas. Categories: ALL, Early Literacy, Flannel Friday, Libraries | Tags: early literacy, flannel boards, flannel friday, pattern, picture books, storytime | Permalink. Con’t belly, feet, fingers, toes and by request: hair, head, knees, tongues, bottoms, eyes, noses. We discussed all the things that we think are yucky. Of course there was some disagreement among the members of the group, but in the end we all decided worms, mud, and poop are yucky. He is about as gross as it gets. He’s a warty, smelly, bug-crunching creature, who hobbles half-blind through the toxic, sludgy swamp. Predators beware! For when a “monster” believes eating toad is like taking candy from a baby, he quickly realizes his mistake. He launches toad into air with a resounding “YUCK!” And our now “confident” triumphant hero lands safely in his cozy, oozy swamp. This book is really fun to read aloud. The wording is beautifully rhythmic, and rolls off the tongue. However, I don’t think this is an immediate winner with kids. It’s full of big words, and this can work for it and against it. On one hand, I think Brown selected the perfect words for this story, and I think she was very economical with the language. However, some of my preschoolers may have been a little on the young side. I tried to look around a little as I read, and I saw a couple of nervous faces. I would recommend this for kids 4.5 and older. 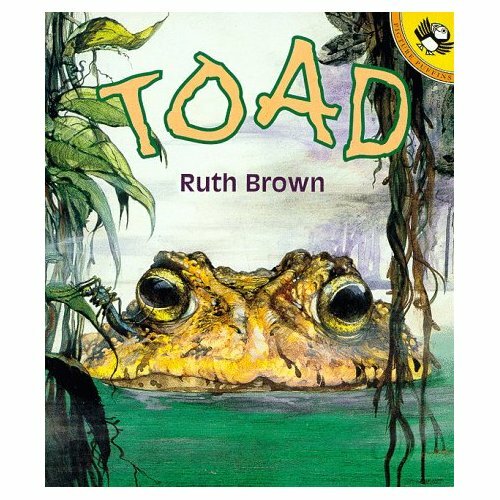 Still, everyone loved the ending, and even my girliest among the little girls in the class, loved toad’s enormous grin on the final page. I am always nervous when to do sing this song (the same goes for my all-time favorite: Little Bunny Foo Foo), particularly if there are any parents in the room. Luckily this wasn’t a problem this time. So we had fun smooshing up our baby bumble bees. I decided to skip the licking and barfing up our baby bumble bees, just to be on the safe side. I know, I know… I’m a chicken. When all the animals at the zoo wake up sniffling, snuffling, and looking a little green around the gills, the zookeeper is at a loss to explain the misery that has struck his menagerie. 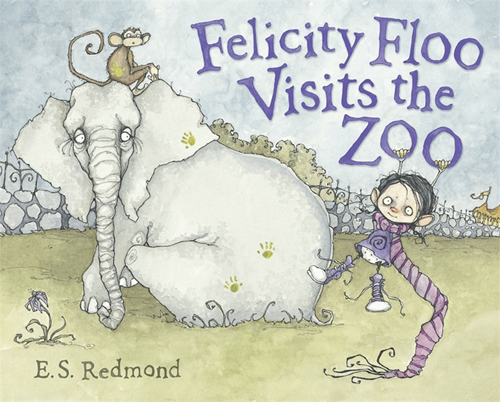 In order to find the culprit we must go back in time several days when, “pale, sniffly girl named Felicity Floo wiped her runny nose without a tissue” on her visit to the zoo. We can track Felicity’s movements through the zoo by following the sticky, green trail of boogery hand prints she left along the way. 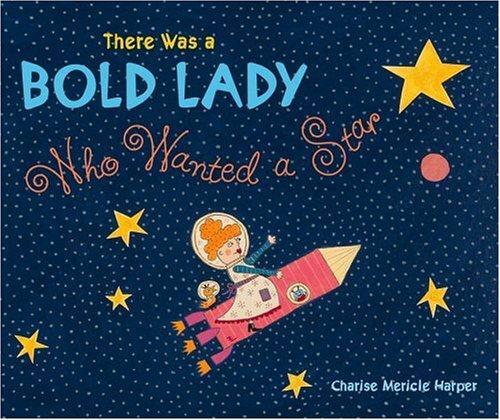 This book is always a huge hit in storytime. Don’t ask why, but I am always surprised that it goes over so well. My first impression was that it was that the rhyme scheme was a little rigid, and/or it was too cutesy. But I’ve used it several times, and each time, the kids love following Felicity’s germy rampage. In fact, I gave each child a chance to find, point out, and touch a hand print–the hand prints are made from a sickly yellowish-green puffy paint– and every single kid recoiled in what can only be described as ghoulish delight. Felicity Floo is a winner, and it pack a powerful lesson: WASH YOUR HANDS!!! We skipped the littlest worm at this point because the aforementioned chaos. I decided we needed to dance it out so I popped in my special surprise-dance mix, and it played 1, 2, 3, 4 by Laura Freeman. 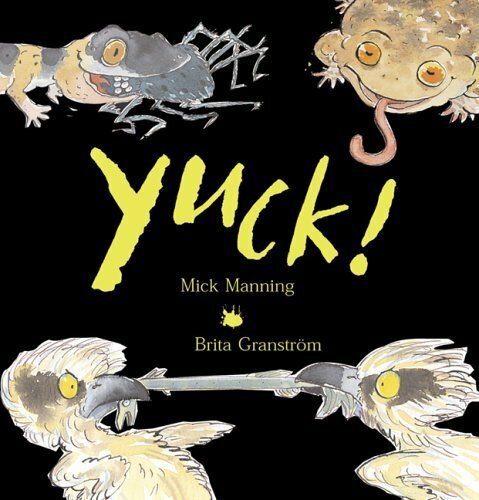 This is an awesome read aloud, that discusses all the most disgusting things critter babies eat for breakfast–worms, rotten eggs, just to name a few. After descriptions of each meal, an enormous “Yuck” explodes across the page. This story makes anyone who is, or ever was a human baby feel very fortunate to have been fed milk for breakfast. I directed the kids to jump as high as they could and yell yuck everytime I pulled my earlobe. They seemed to enjoy this element quite a bit. But a more low-key reading of Yuck! would work just as well. Finally, it was time to color, and then sing The More We Get Together. Categories: ALL | Tags: music for kids, picture books, yucky storytime | Permalink. Pre-K Storytime is a 1-hour, weekly storytime for 3.5-5 year-olds runs for 9 weeks in the fall, and perhaps 11-12 weeks in the spring. Registration is required. There are 30 children currently registered, and about 20-25 show up each week. Each week we open with the same Hello song. 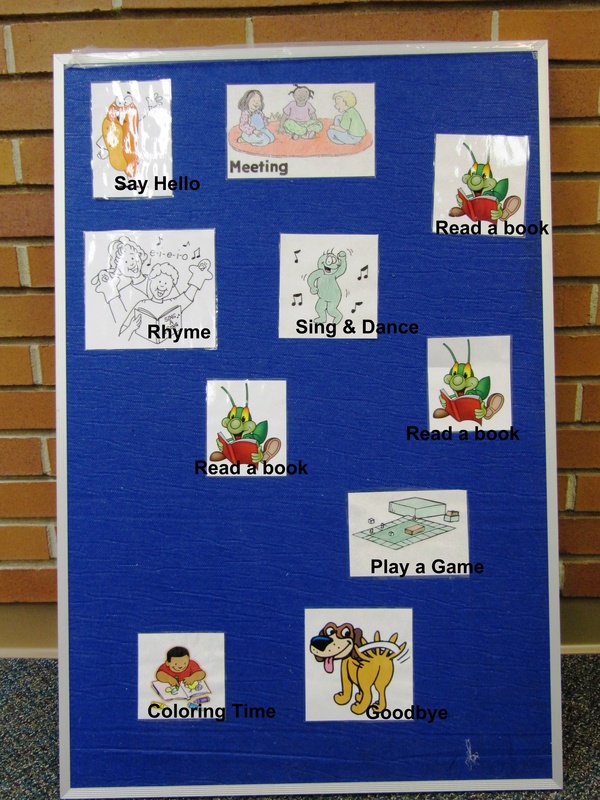 We generally read 3 books and do 2 action-rhymes/activities. Then I give them about 10 minutes to color/draw. The first day of the session I provided a blank book for each child with his/her name on it. The first day we decorated the books using crayons and markers. In the subsequent weeks I provided a small theme-based coloring page, along with the books. At the end of storytime, the children slip the page into the front of their book, and hand it into me. I glue the coloring page into the blank book. On the last day when we have the Last-Day party, I will pass out the books when their moms are their so they can take them home. Last year I did this a little differently. I provided blank folders (instead of books) and coloring pages and then laminated the CPs at the end of the session. The kids enjoyed it, but I have noticed that the kids seem more connected to their books than they did to their folders. The books are also much easier to manage than the folders were. 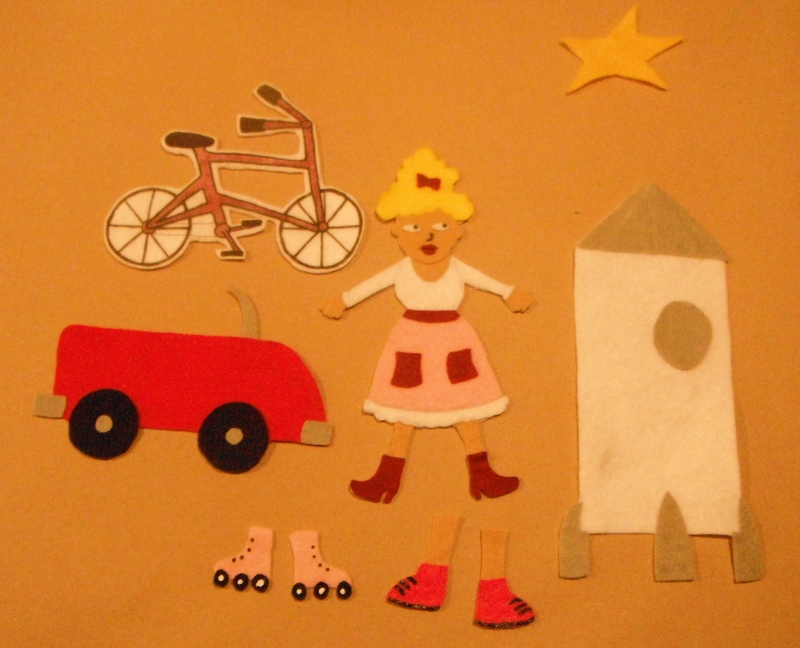 Categories: ALL | Tags: picture books, planning, storytime, this blog | Permalink. Theme of the Week: Make Some Noise! I asked the group about their favorite noises. Poor Little Bird is born on a windy day. As soon as she sheds her shell she is “wwwhooooosssshhhhhed” out of her nest and into a pile of hay. She turns to the first adult she sees: a cow who lives in the barn, and says, “Hello? Hello? Can I come in?” But the cow replies, “What’s the magic word, Little Bird?” “Peep, Peep?” says the confused Little Bird. But the cow shakes her head, the cow’s magic word is, of course, “Moo”. But before Little Bird can repeat this the wind picks back up and she is “Wwwwhhhhoooossssshhhed” away by the darn wind and dropped at the doorsteps of a series of animals who each require a different secret password. This story is a pleasure to read aloud. The wind-blown illustrations are adorable and dramatic. The text is rhythmic, but the rhymes aren’t rigid. 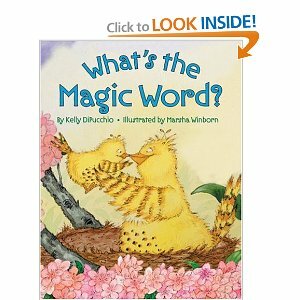 My preschoolers were riveted each time Little Bird was whooshed away, they were eager to find out where she’d land next. And when it came to guessing what the magic word was, they delightedly called out the animal sound without my having to cue them. This is an ideal interactive picture book for a pre-k storytime, especially on a windy day. The kids went wild for this story! They loved the part where they got to shout “Alligator, Get out.” And then I asked what they would do if they saw a big monster, a mummy, and shark. Each time their shouts of “Get out” got louder and more gleeful. Note: I introduced this book by saying, “The next book I am going to read starts out a little bit scary, but all the stories I read have happy endings. I gave them a choice between this book, and a totally non-scary, but equally good alternative. They all demanded the scary story. I also said that if anyone got too scared, they could come sit right next to me, and I’d protect them. We clapped our hands, stomped our feet, shouted hurray! Then an incredible thing happened. I took suggestion for the other actions to use in the story. First one child suggested we “wwhhhooossshhh” like the wind, another that we say peep-peep, another that we moo, oink, and say please. Then they suggested “chomp like an alligator”, “hide like kid” and finally “yell ‘GET OUT ALLIGATOR! It wasn’t until we were a few verses into the song that I realized the children were using all the actions from in the two books, and transposing them into the verses. I was really excited to see that not only did they enjoy these two books, the connected to them in a very real way. Not only did they remember the details and the sequences of the stories, they spontaneously re-framed and retold them as a group. Man, I just love storytime! Since If Your Happy & You Know It went on for so long–and got so rowdy–I decided to skip #7 (When the Cow Gets Up in the Morning) I got the feeling that one more new thing would be a little overstimulating. I opted instead for something familiar. I always keep Raffi’s “Shake My Sillies Out” ready for moments like this, and I think my regulars associate this song with my storytimes. It’s always a big hit. When we get to the yawning part,we all snore pretty loud. Sharing is still a little bit of a problem. I provide crayons, colored pencils, and (some) markers. They all REALLY WANT MARKERS(!!! ), but I’m prefer they use crayons (it’s mostly the messiness factor). I have tried several things to at least limit marker wars: 2 per child rules, individual coloring baggies, etc) But they still seem to cause problems among the kids. At one point I noticed one little boy violating this weeks (3-marker) rule. He had whole handful of markers, and he refused to share with anyone. I asked him to choose his favorites, and asked him to hand me the ones he wasn’t using. He panicked, and looking for a place to hide them, just sat on them! Oi. He’s pretty shy, so I decided to leave him be, but I think I’ll try an absolute no-marker policy. Anyway, I love these journals! I just glued in all the coloring pages, and got them ready for next week. They are really adorable! BTW: During this “Noisy Storytime” it just so happened that my boss was in the boardroom (which shares a wall with the storytime room). She said, “It sounded like you guys were having a pretty good time in there.” Noisy Storytime: Mission Accomplished. 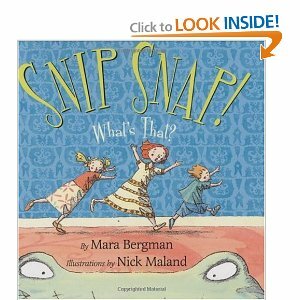 Categories: ALL | Tags: picture books, sounds, storytime | Permalink.